Sam Shepard doesn't just guard his privacy, he patrols it.Not only does the 45-year-old playwright, actor and now first-time movie director not want it known where he is granting one of his rare interviews, he doesn't want it known why he doesn't want it known. There are people like that-Garbo, Salinger, Howard Hughes. Natural recluses. Is he one of them? "I don't know Salinger," he mumbles. So why the cloak-and-dagger secrecy? Do paparazzi lurk behind every bush? Or is it the loonies out there who give him pause? "I'd rather not answer that question, because that in itself becomes a provocation," he replies. "It doesn't matter what the reason is. It's my private life and it's not up for grabs ... Can't you just say we're meeting in a Holiday Inn in Atlanta, Georgia?" Sure, you can. You can say you're meeting on the moon. But you also can't help noticing that for all of Shepard's attempts to go unnoticed, they seem to know him and his habits pretty well in this neck of the woods. An hour earlier, the reporter had told the hostess of the pub in the ... errr, Holiday Inn ... that he was there to see "Mr. Shepard." The hostess had immediately assumed a conspiratorial look that implied, "We are talking about the same Mr. Shepard, aren't we?" "Sam Shepard," said the reporter. "Of course," replied the hostess, taking off across the polished floor. "He comes here quite often. I always put him at the table in the corner. That is his preference." She guided the reporter into the corner chair facing out. "Mr. Shepard prefers to have his back to the room," she explained, indicating the chair facing in. It turns out to be a needless precaution. Other than a plump, middle-aged couple finishing up lunch, the pub is empty, and they will have paid their bill and departed by the time Shepard arrives. The hostess could seat him on the wagon-wheel chandelier for all it matters at this hour of the afternoon. Still, Shepard slinks through the empty room, as if running a gantlet of gossip columnists, settles into his habitual chair and orders an Irish coffee. He looks vaguely out of place. You tend to associate him with Western landscapes, after all. That's where he was raised and spent a lot of his adult life. A number of his plays ("True West," "Curse of the Starving Class," "Fool for Love") are set there. From the start of his movie acting career in "Days of Heaven," he has projected a kind of stern-jawed cowboy machismo that doesn't jibe with the decor of this ... Holiday Inn ... which is all cute and Englishy and tweedy. By way of conversational openers, you mention the incongruity. "Yeah ... well ... if you start trying to figure out yourself from the image everyone has of you, you run into a dead end," he notes. Hmmm. Uh. So how long has he been in these here parts? "Look, I don't mean to be abrupt or anything," he says. "But I don't want to talk about my personal life. I've had it up to my ears with the personal mythology. It's getting kind of personally sickening. The personal stuff just turns out to be misinterpreted. I've had such an earful for so long, it's gotten tedious. I figure if you stay away from it, you're safe." He hunkers down in his chair. Stony. This is a man for whom "How d'ya do?" constitutes an invasion of privacy. Shepard says he wants to talk about his work, but what he means by that is that he wants to talk about his movie "Far North." He's written film scripts before ("Zabriskie Point," "Paris, Texas"), and he's frequently staged his own plays. But this is the first time he's ventured behind a camera to film his own screenplay. Unfortunately, critical reaction has been glum. While "Far North" was relatively inexpensive to make ($5 million), it isn't exactly setting the box office on fire. In the opening scene, a grizzled old reprobate (Charles Durning) is tearing down a country road in a horse-drawn buckboard when the horse shies, overturning the cart and landing the driver in the hospital. His daughter Katie comes back from New York to pay him a bedside visit, whereupon he barks out an order: He wants the horse killed and Katie to do the shooting. What ensues is a kind of "Midsummer Night's Dream," Shepard-style, in which Katie, various members of the family, her father (still in his hospital bedclothes), a drunken uncle and the horse cross paths in the deep, dark woods of northern Minnesota. It's not for nothing that the horse-all snorting virility-is marked for extinction with a big white X painted on its forehead. "The film has turns that are-serious isn't a good word-more emotional, maybe," says Shepard. "But it's intended to be funny. If it is not being seen as a comedy ... well ... what the hell, I made the kind of film I wanted to make. I have no regrets about it. I worked with great people, fantastic actors, fabulous producer. The fact that it has had across-the-board bad reviews doesn't bother me. I think comedy's harder to pull off on the screen than on the stage, anyway. Tragedy is easier on the screen ... oddly enough..."
You'd be crazy to pry. You're there to talk about the work, remember? Only talking about the work proves not that easy, because Shepard figures there's already been entirely too much written about his work as it is. The work, you see, is the work. Nothing more, nothing less. Don't ask what it means. Meanings are not the work. Meanings are something else-suspect, extraneous, confining. Some awful kind of Catch-22 is shaping up in this inn, this Holiday Inn in Atlanta, Georgia. "It's a funny situation," he says, "when your work becomes a spur for parasitic writing, if you know what I mean. Writing by critics that takes off from your work and explores their own theories of society or America or whatever. They forget all about your own work. I mean, there are these tremendous bodies of essays on the decline of the American West, based on my plays, you know? But I'm not writing about the decline of the American West. I'm writing to connect very specifically with an audience in that space and time." He can't deny the critics have been good to him in the past. He's won all manner of prizes, including a Pulitzer. For some reason, the lambasting of "Far North" seems to bother him more than he lets on. "I haven't read a lot of the reviews," he explains, lighting up a Camel. "But people were shocked, I think, because it wasn't a regurgitation of my previous work. It was new and different from what I'd done before and they didn't know how to accept it. As soon as you accumulate a body of work-say, more than six pieces-an expectation begins to be accumulated along with it. You feel like you're chained to this ... thing ... and you don't want to be. I refuse to be locked in like that. "Hell, the screenings I attended, the audience seemed to enjoy it thoroughly. I sat there and watched their reactions to it. They seemed to be genuine ... Maybe they were pulling the wool over my eyes ... But I guess you can expect to get hammered along the way and this was the perfect time, because it was my first shot at filmmaking." He grinds out the cigarette. "Hell, there were only two good reviews out of the whole batch." Two Irish coffees and five Camels later, Shepard is talking about the family. The family-bizarre, mad, tenacious-crops up a lot in Shepard's plays-from "Buried Child" to "A Lie of the Mind." But you don't want to insist on the fact, because that might be construed as a kind of critical straitjacketing and conversation is restricted enough as it is. "I think once you start to explore the family, as a writer, you find such rich territory," he says. "It has such a tangible feel. You know the father, you know the mother, even though they aren't necessarily your father or your mother. You know how to embody them. And Americans have such a screwed-up family life. Especially my generation. "I mean, here you had all these men returning from World War II who were told to go back to work and live in the suburbs. They had no role anymore. Their role was to be a soldier. How can you compare life in the suburbs to life in a fighter jet? You can't. But the women were thinking everything was hunky-dory, and all of a sudden they turned around and the men were alcoholic schizophrenics. They'd gone off their cake, you know. And the women were all steadfast, trying to hold things together. It wasn't just the men who enjoyed battle, either, but the ones who were shellshocked by it. Where did they fit in?" All this sounds vaguely biographical. Is he talking about his own father? But he's also talking, he's quick to point out, about Chuck Yeager, whom he played in "The Right Stuff," except that Yeager "comes back and they say to him, `Do this' or `Do that,' and he says, `Screw you, I'm going to test planes.' " That, Shepard says, is an example of "where a man wanted to continue what he'd gotten a taste for and where he had the courage to see the thing through in the atmosphere." He's talking, too, about all the guys who came back from Vietnam profoundly disoriented. And in Shepard's own case? "I was 4F," he says. "I had a busted back. Two broken vertebrae." Poisonous as it can get-and not just in his plays-Shepard nonetheless figures the family is the last best hope for mankind. Oh, not the way that George Bush figures the family is the last best hope. But all the other solutions-religious, political, social-are utter failures in his mind. "Family-in the truest sense of people related by blood, knowing they are in a relationship with one another from birth to death-that's unbelievably awesome," he says. "There's no way you can deny it. If a person denies it, he only ends up like Faust, you know? "No matter what your family situation is-whether it's wonderful or chaotic-you have to accept it as part of the process of life. You can't jump out of it and say, `I'm free. I'm an individual.' If the family exists in some kind of hell, that means you have to live in hell. Family is the soil you're born into. You gotta use it. You got to get through it. You can't run away from it. "The most depressing thing to me is the way people in thwarted relationships just decide to throw away their partner. You swap partners because it isn't worth it to carry on. Boy, that one is the saddest. `Hey, we got a problem. There is no answer. Oh, I know the answer. I'll find somebody else.' People become like tissue paper. They've been together 10, 15 years and all of a sudden it's over. It's happened to me." But don't ask when or why. The curious thing is, Shepard is not unpleasant. He's got a kind of snaggletoothed charm and, when he permits himself, a self-deprecating wit. But he's fighting his reticence every step of the way. All questions are guilty until proven innocent. He certainly doesn't like anything about Hollywood-its rules, its myths, its games. "All you have to do is go to L.A. for a week to see the insanity it promotes," he says. "Especially in young people-people who are eager to be taken advantage of, who go there with the intention of being taken advantage of. Then they are taken, and they wonder what happened. "There's no denying the seduction part of it. But at the same time, you can't let it take you. You try to use it, without being eaten up. That's probably why I don't live there. The further away from it physically I am, the better." And yet here he is submitting to the quintessential Hollywood ritual-the interview. The pretext may be to talk about "the work," but it's really to generate publicity. Shepard just wants to make sure it's the right kind of publicity. He's got a second film in mind, but even though he's lined up "three of the best actors in the world, incredible actors," nobody's loosening the purse strings. It won't help matters to have "Far North" flop at the box office. If Hollywood values don't get you, Hollywood economics does. Consequently, Shepard lets it be known he's willing to talk. Sort of. On his terms. But it's obvious he'd rather be somewhere else. He'd rather be riding, playing polo. He'd rather be cleaning the stables. He owns 15 horses. Emblazoned across his T-shirt is "Eldorado Polo Club." 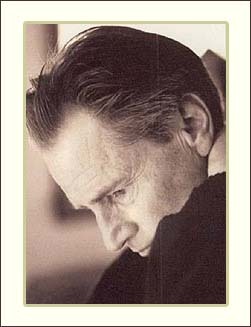 So in the awkward silence that takes over a stalemated interview, you actually end up asking Sam Shepard about his horses, for Pete's sake. For the first time all afternoon, he leans back and responds freely. He may find it difficult to keep the world off his back. It's rough being a movie star and the critics don't seem to have made it any easier for him to be a movie director. But, he allows philosophically, "the only really intimidating thing in life is a bad horse." And he puts his cowboy boots up on the rung of a nearby chair in the pub of the Holiday Inn that is in Atlanta, Georgia.